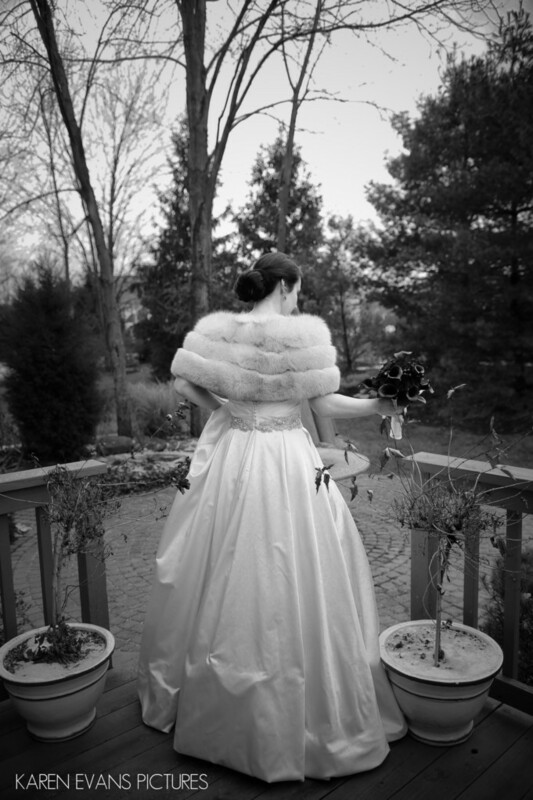 This unposed bridal portrait of Jennifer was made at their home in Westlake, Ohio, a suburb of Cleveland. Theirs was a lovely winter wedding but that didn't stop us from shooting outside. I love this photo because of how beautiful her dress looks and the symmetry of the porch railings and pots. This actually reminds me of the sculpture on the cover of the book Midnight in the Garden of Good and Evil, a favorite of mine.Keywords: bridal portrait (36), westlake ohio (6), winter wedding (78).